ive got a impreza uk300 and am thinking about putting all the rally stickers on it but im 50/50 about it because its a stunning car as it is. what do you think? 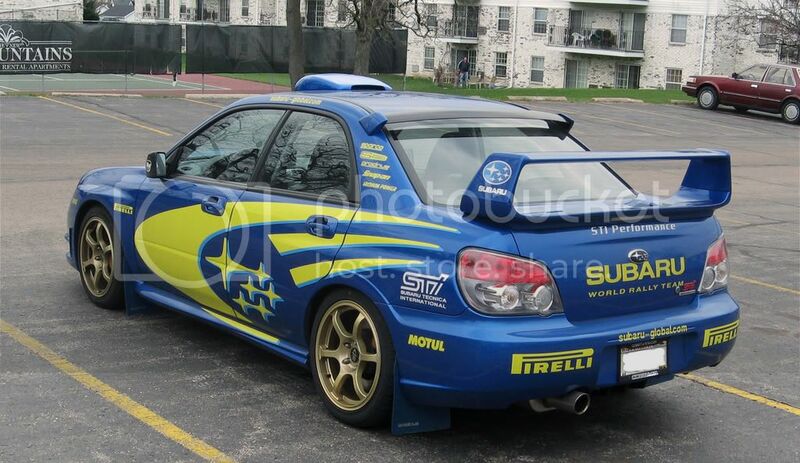 a lot of people will say its been done to death, but I would go for the subaru swoosh that goes from the back to the edge of the front door like in the picture but dont put the sponsors on. fair one looking at that photo makes me want to sticker my car do you now of a good website to buy the stickers from? sorry I dont, Ebay is the only place I can find ones to that spec in the photo, best to read peoples reviews first as there is a lot of rubbish out there. We can supply sticker kits and we can make them to what you require size wise. we use 7-10 year qaulity vinyl for all large grahic kits and can use 12 year cast vinyl if required. Last edited by bugeye_bob; 11 Jan 2012 at 02:02 AM. Reason: double posts ?